The oldest known sandals (and the oldest known type of footwear ) were discovered at Fort Rock Cave in the United States, state of Oregon. Radiocarbon dating of the sage bush bark from which they were woven indicates an age of at least 10 000 years .Sandals can also be traced back to the medieval times , in Egypt ,Spain and even Southern Africa . Sandals were worn by everyone ,perfect for battle most times .In ancient Greece ,the sandals distinguished people of different walks of life e.g the boot sandal that rose above the middle of the leg was worn principally by tragic actors,horseman,hunters and by men of rank and authority . In Egypt, sandals were made of palm leaves and papyrus ,and were considered the ultimate characteristic dressing of a priest . Sandals may have soles made from rubber ,leather ,wood,tatami or rope. 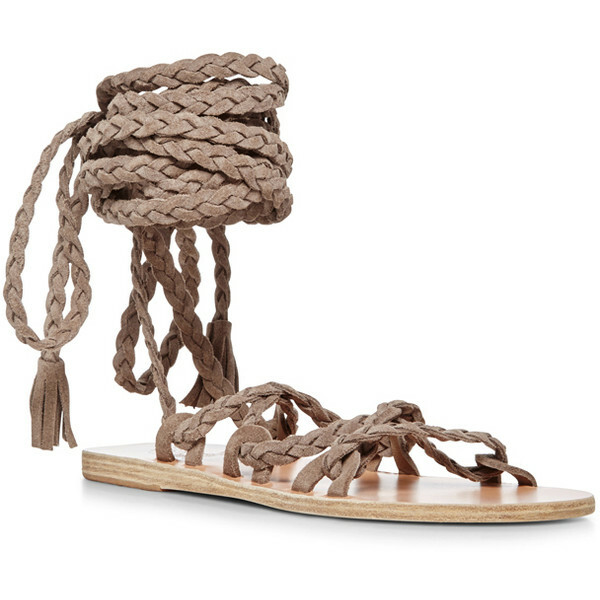 Nowadays, sandals come in numerous types; flip-flops, gladiators and even heels! A-List designers such as Givenchy have given sandals a modern twist .Both males and females wear sandals ,and since they have been here for centuries ,one can safely conclude that these shoes are never going to to go out of style.